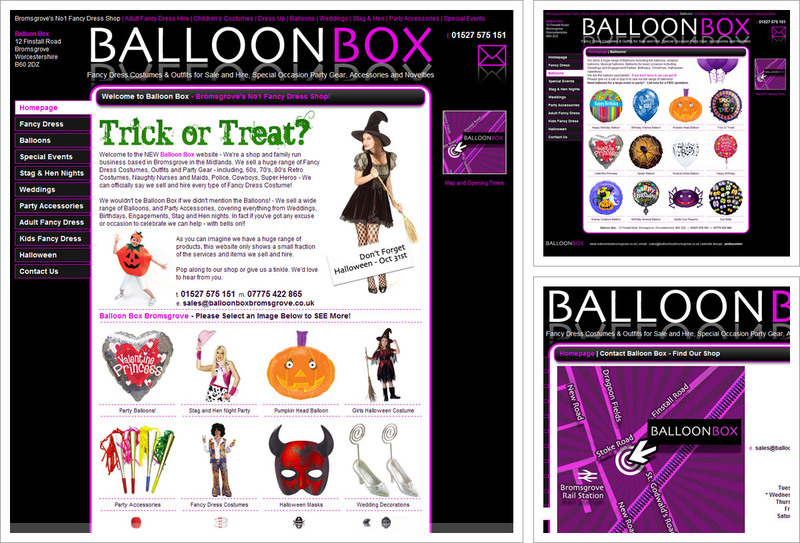 Midlands based Balloon Box, a fancy dress shop in Bromsgrove were looking for a new logo and a brand new website. This was a really fun site to work on with loads of great images. “Pedleyonline have been invaluable to me with the interest and commitment they have shown in helping me develop my business and it’s web presence. Initially they helped me get my website online and more recently when I decided it was time to begin selling online they helped with a new e-commerce website. Nothing has been too much trouble and they have been so easy to work with, providing good advice and ideas. I am so pleased with my website and it’s performance and have already begun making sales online. I wouldn’t hesitate to recommend Pedleyonline”.